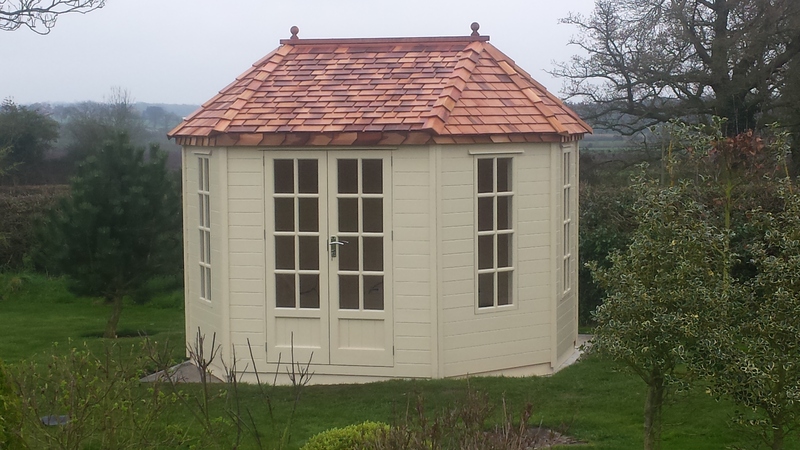 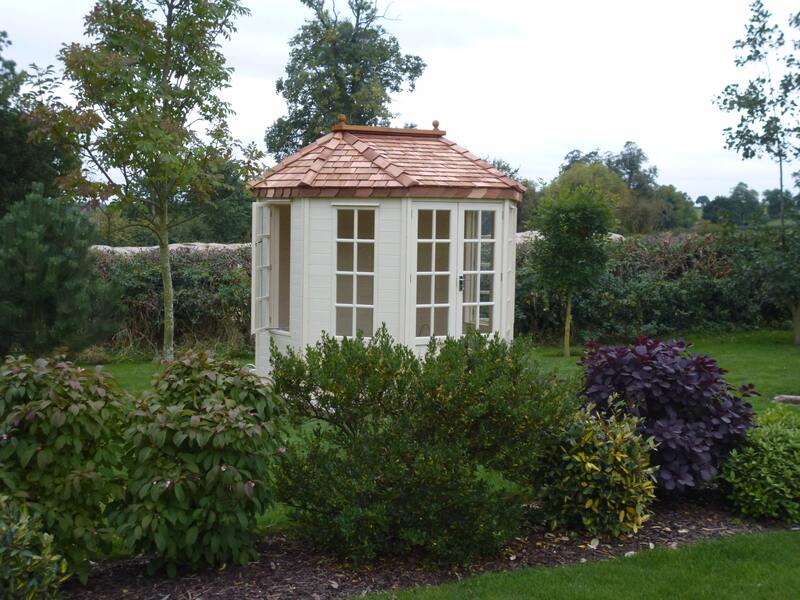 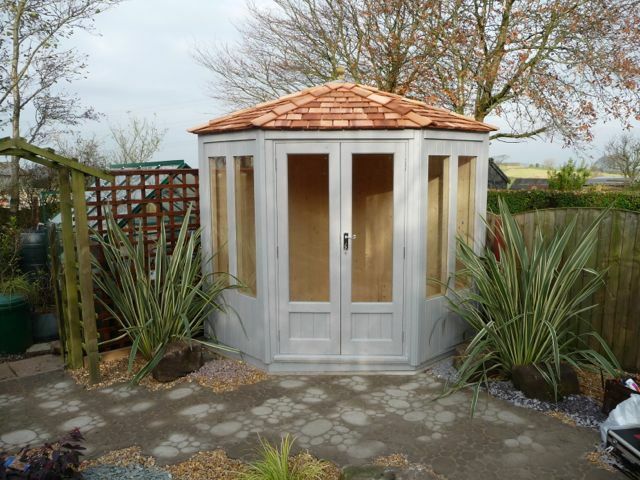 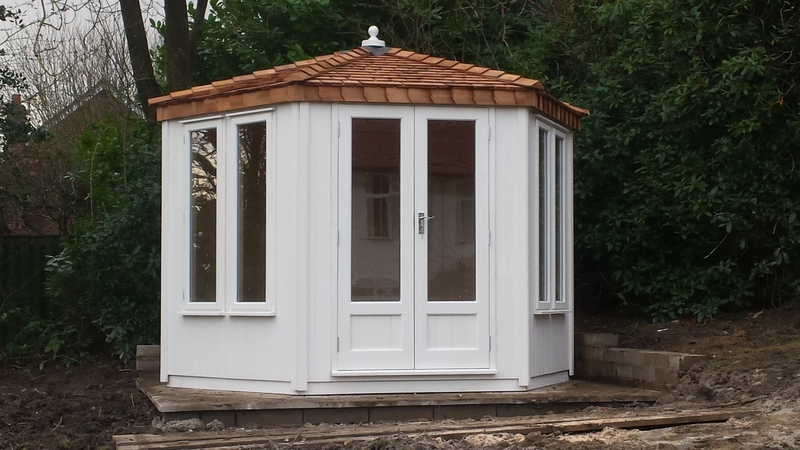 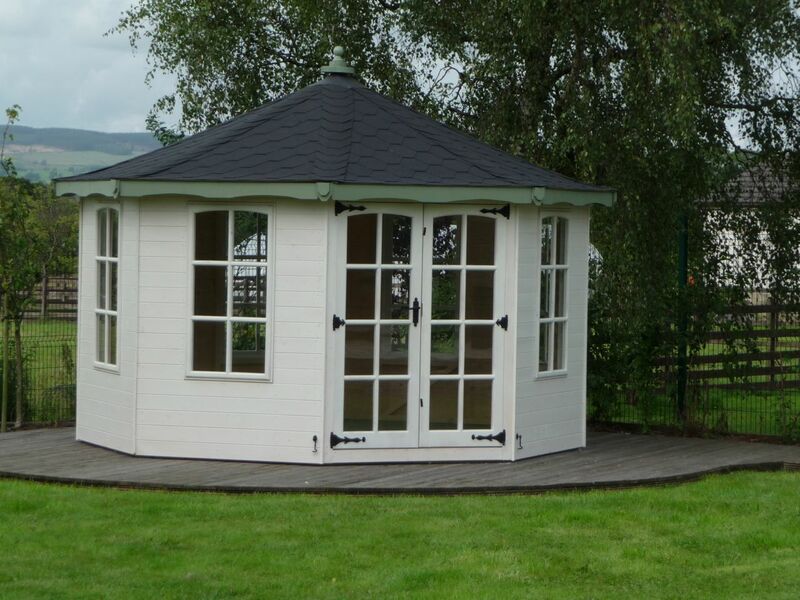 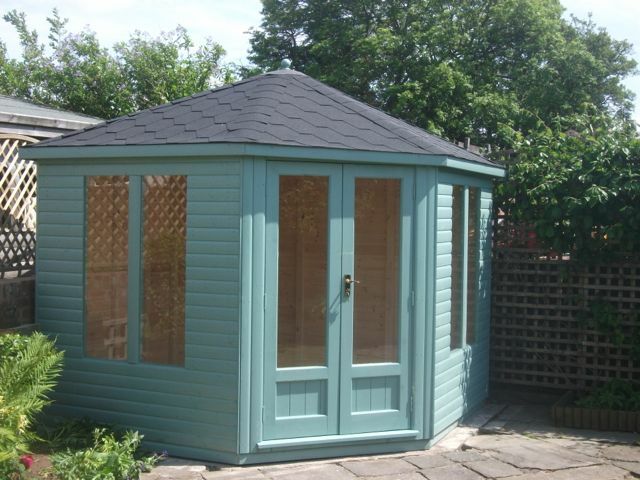 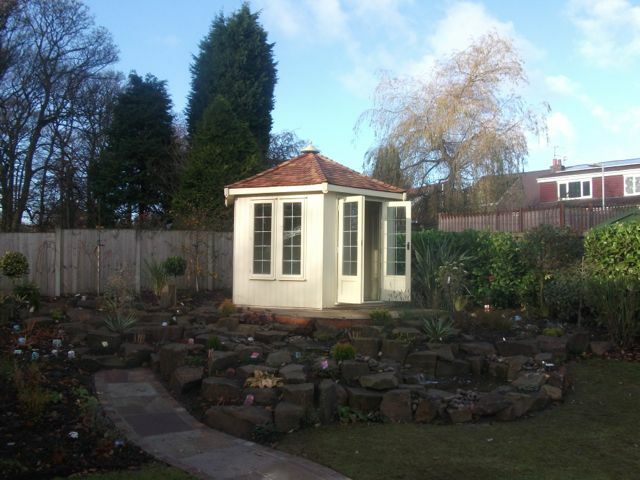 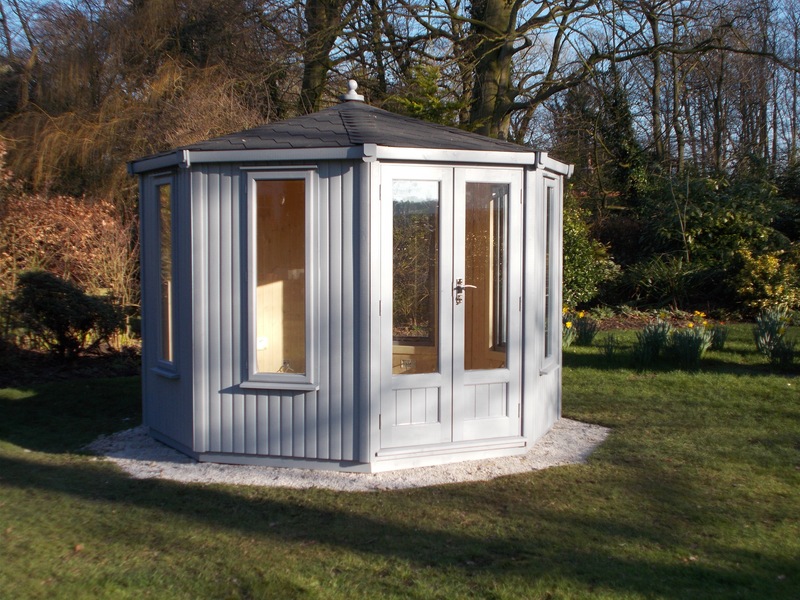 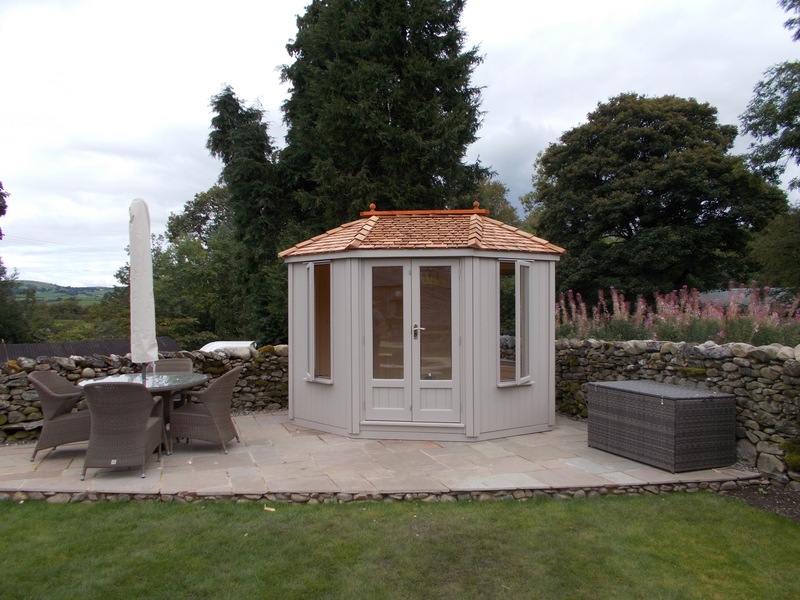 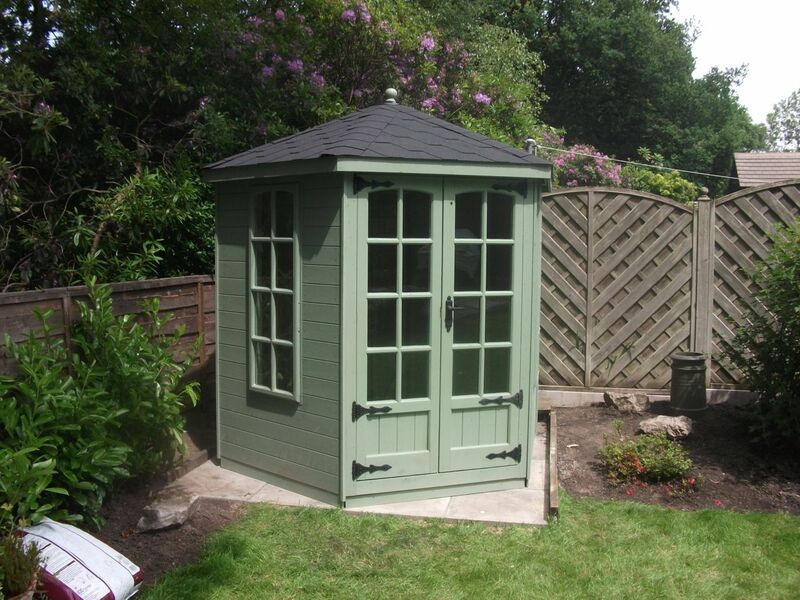 THE PHOTO ABOVE SHOWS OUR BOSTON EIGHT SIDED SUMMERHOUSE IN COUNTRY CREAM WITH OPTIONAL WESTERN RED CEDAR SHINGLES AND GEORGIAN WINDOW FRAMES. 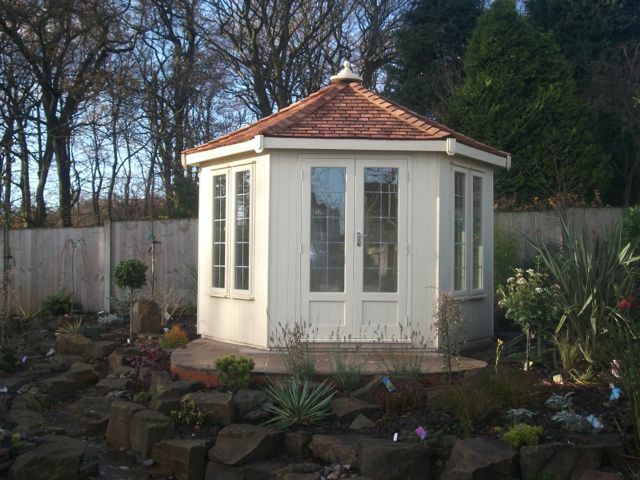 We offer Contemporary, long plain windows, Luxury Leaded windows or Georgian windows on this model. 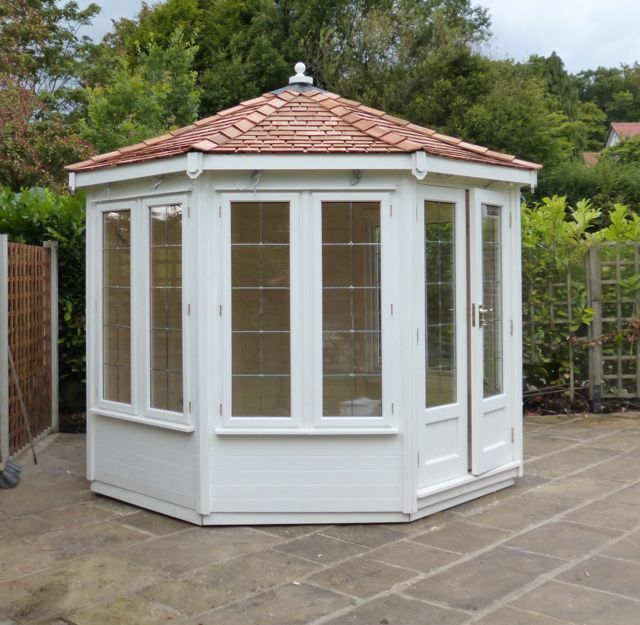 SIX SIDED GAZEBO WITH CEDAR SHINGLE ROOF, FULLY LINED AND INSULATED WITH PRE FIT ELECTRICS READY FOR CUSTOMERS ELECTRICIAN TO CONNECT UP THE LIGHTS, SOCKETS AND CONSUMER UNIT. 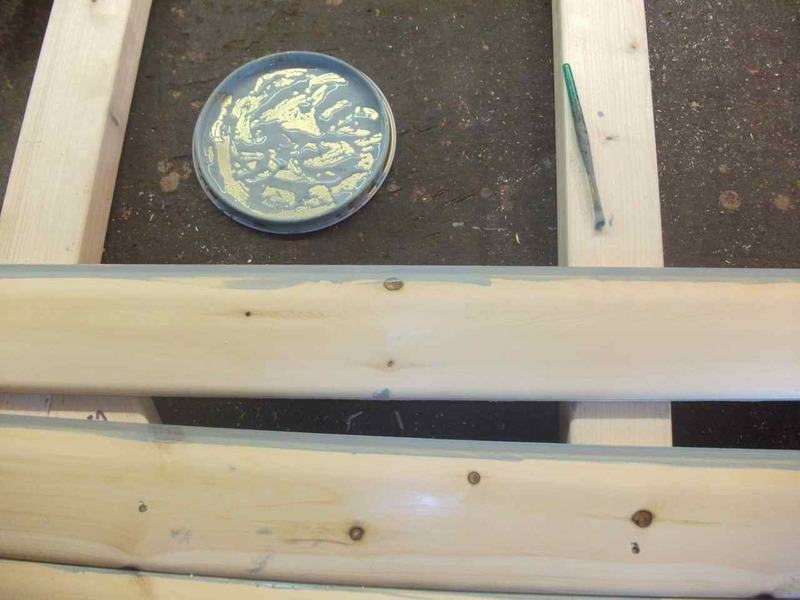 WHY MIGHT YOU ASK, WELL ITS SIMPLE WE GO THE EXTRA MILE IF IN SUMMER THE TIMBER MOVES A LITTLE OUR CUSTOMERS DO NOT SEE WHITE LINES, SIMPLE BUT VERY AFFECTIVE.